With the release of The Wheel of Time Companion just around the corner, Tor.com has kept us tantalized with fan-suggested sneak peaks into the excerpts we're anxiously awaiting. 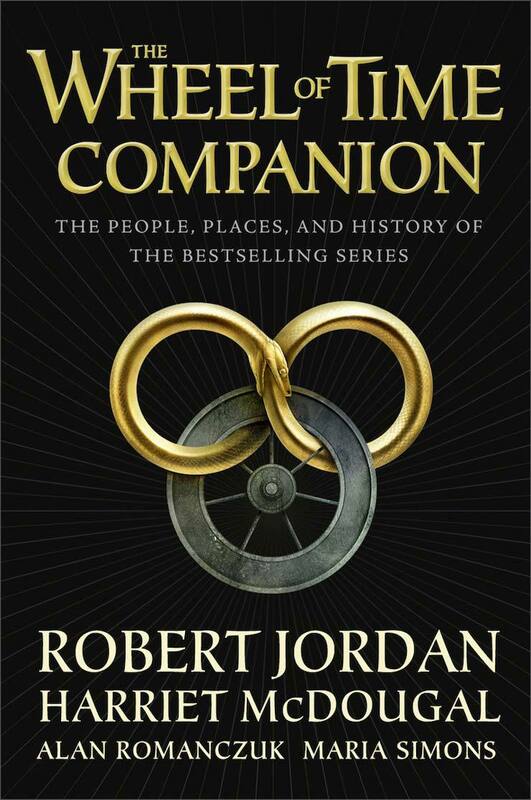 But now, we have something that's a bit more meaningful, the Forward to the Companion, written, of course, by Harriet McDougal—Robert Jordan's widow, and the editor of The Wheel of Time series. In addition to this, Tor.com is also giving us a taste of a more detailed Old Tongue dictionary. You can see all the past entries they've released, as well as some insightful essays on the series, on Tor.com's Wheel of Time Companion page. I like how in this article Harriet lets us know in advance that TWOT companion will not be perfect, and may have some errors in it. Heaven knows TWOT series has a lot of typo errors. What really gets to me is when some people claim how awesome and superior GRRM ASOIAF series is over TWOT! I have read GRRM books and I even enjoyed AGOT and ACOK even though the story is wrong and about almost everyone being ambitious and doing terrible things to bad and good people alike. The whole storyline is about a power struggle which is sometimes exciting and at others puts me to sleep. Referring to my earlier comment though, I own a copy of The World of George RR Martins Ice and Fire. I really have only one complaint, and that is that there are no maps in it! One thing that really makes TWOT meaningful to me is EVERYTHING about the whole series, and the fact that in The World of RJ TWOT RJ acknowledges the fact that the book is not perfect and asks the reader to forgive the errors! I typed some earlier comments about how I would like to see some descriptions in TWOT companion about gholams and the true power! Now I am seriously doubting I will see it in this book. It just goes to show you that nobody writes a perfect book or novel, though I try to enjoy the story for whatever book I am reading! Still looking forward to TWOT companion although I know there are plenty of other good books to check out besides TWOT. Thanks for sharing this news dragonmount. Wishing everybody a happy Labor Day in advance!